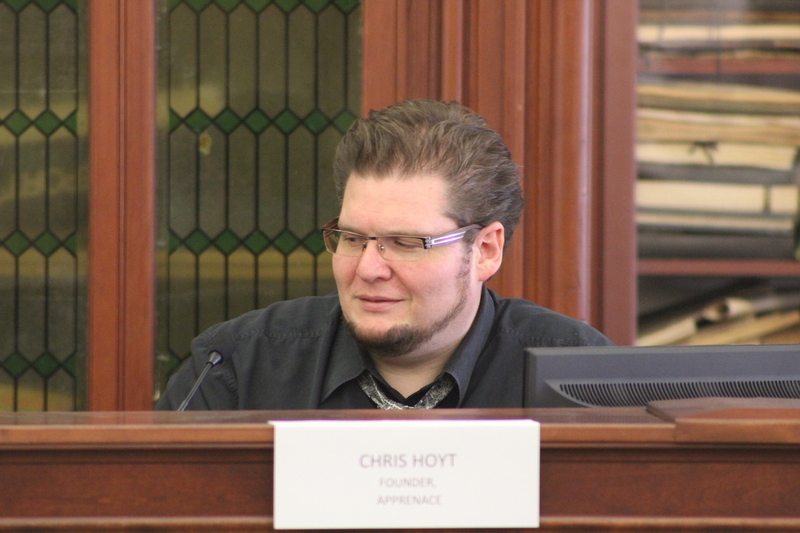 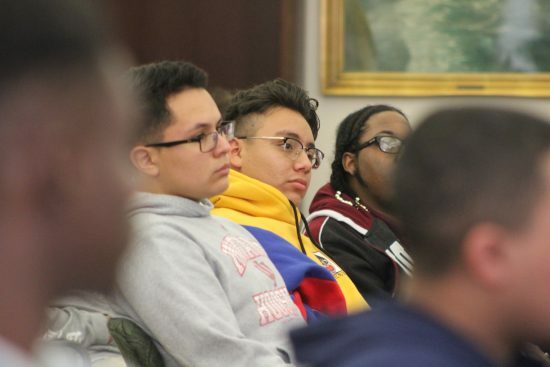 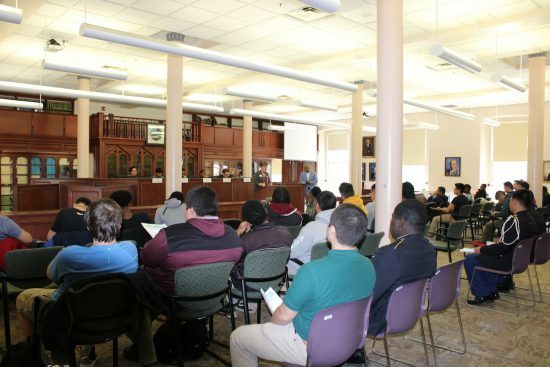 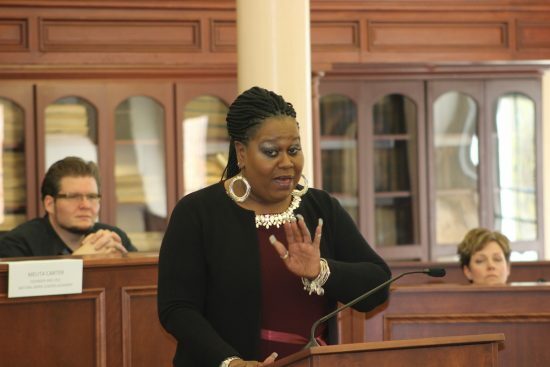 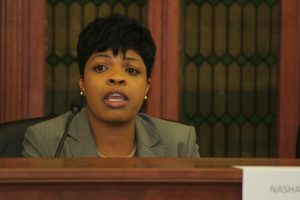 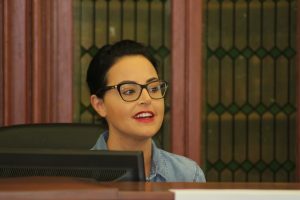 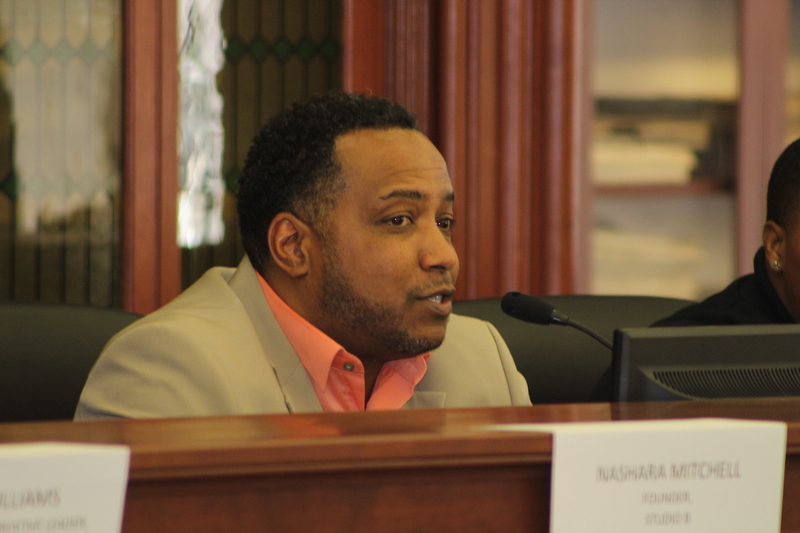 Dozens of students at Arsenal Tech High School who have an interest in starting their own business gathered in the historic courtroom on campus to listen to panelists from a variety of backgrounds talk about their experiences with entrepreneurship. 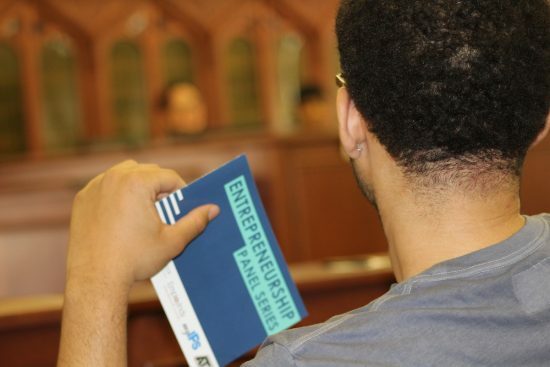 This is because being an entrepreneur is more about having a certain skill set and mindset than anything – and that skill set can be helpful whether it results in founding a business or pursuing a more traditional career. 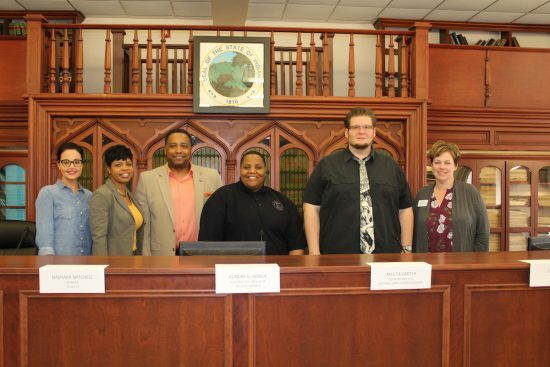 For more about the panelists, view the program from the event. Spring is upon us, and as summer gets closer, young adults are starting to think about summer jobs and other opportunities for growth. 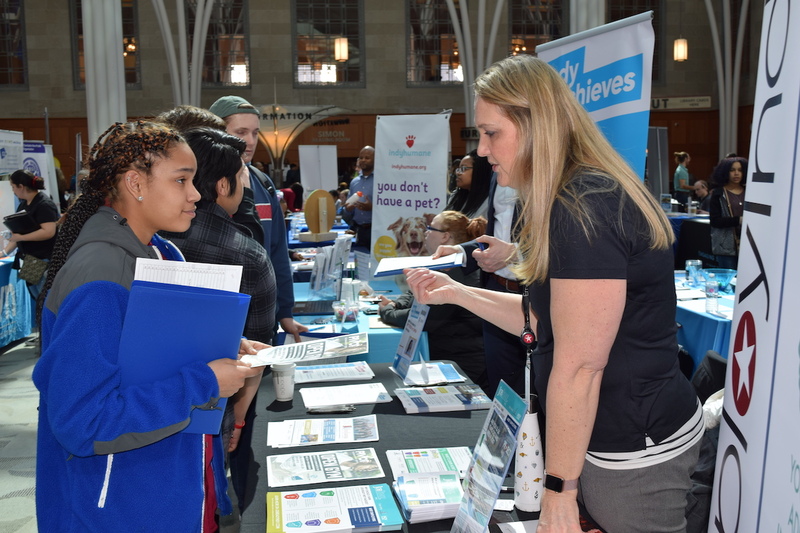 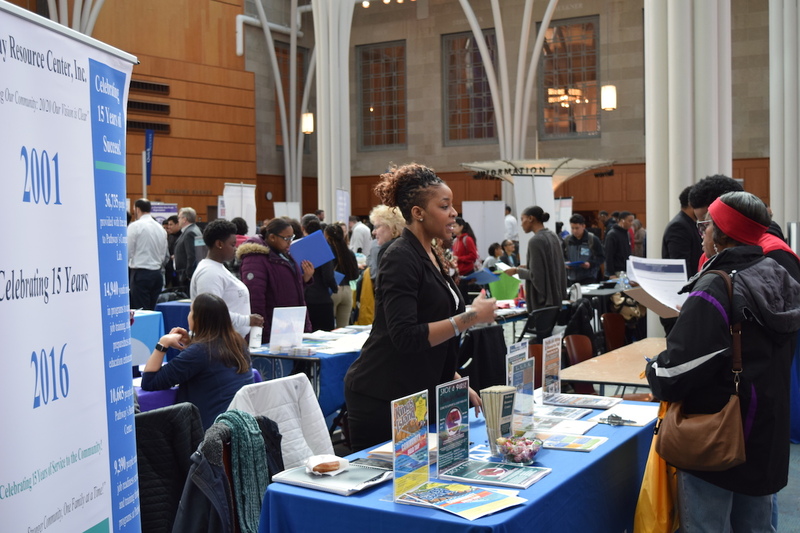 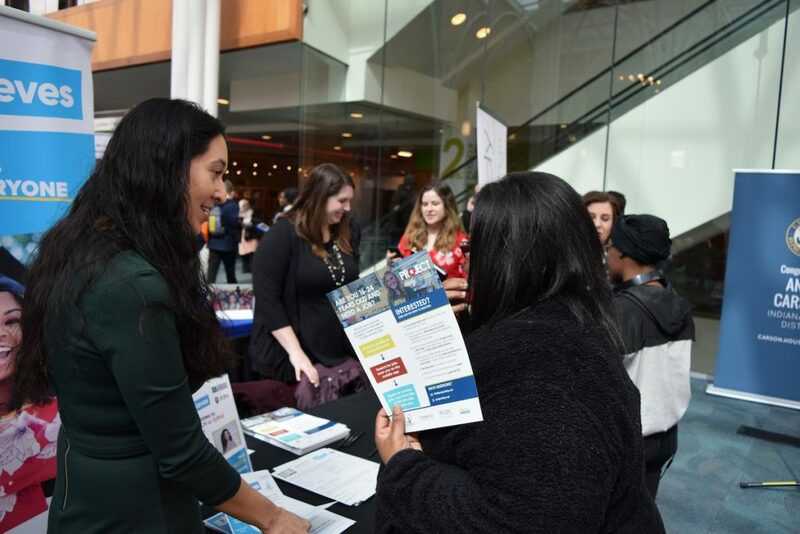 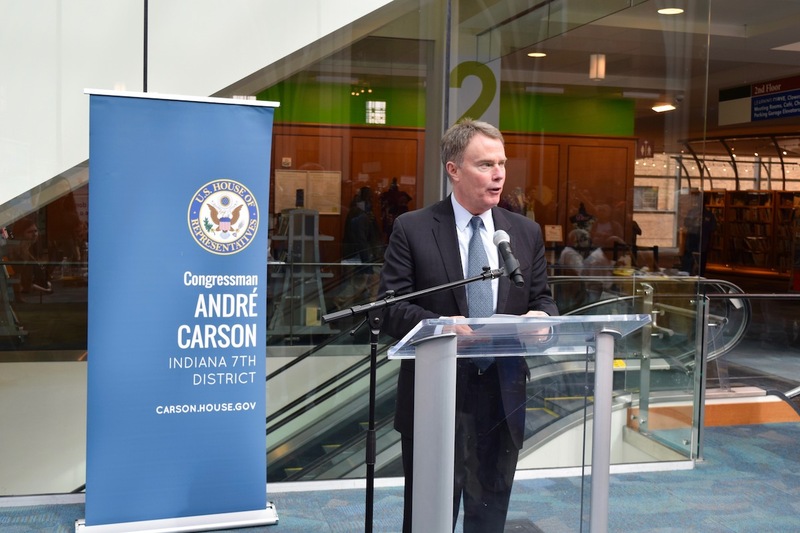 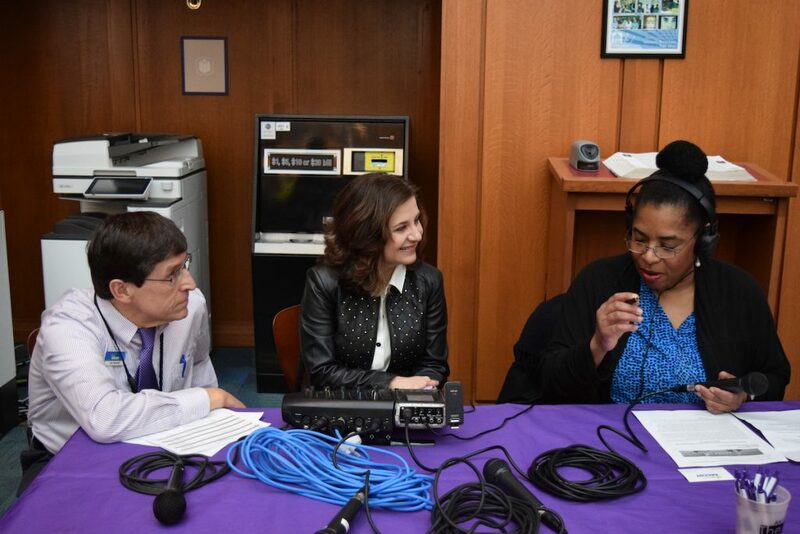 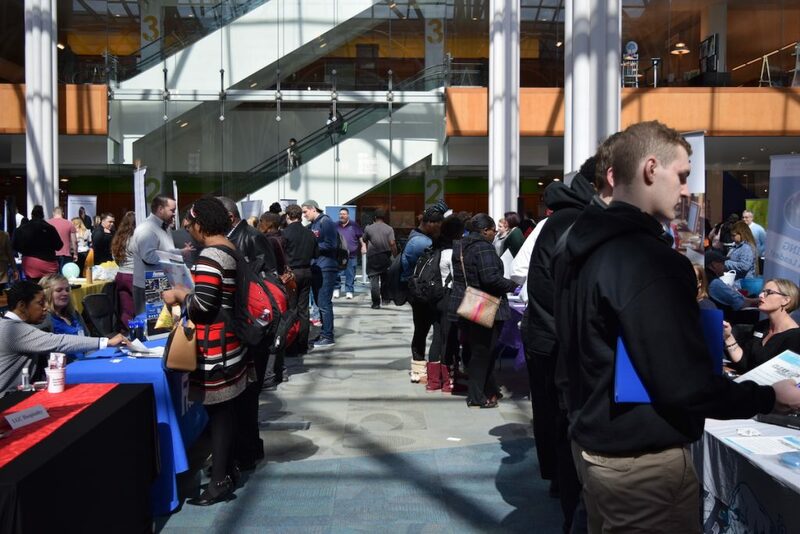 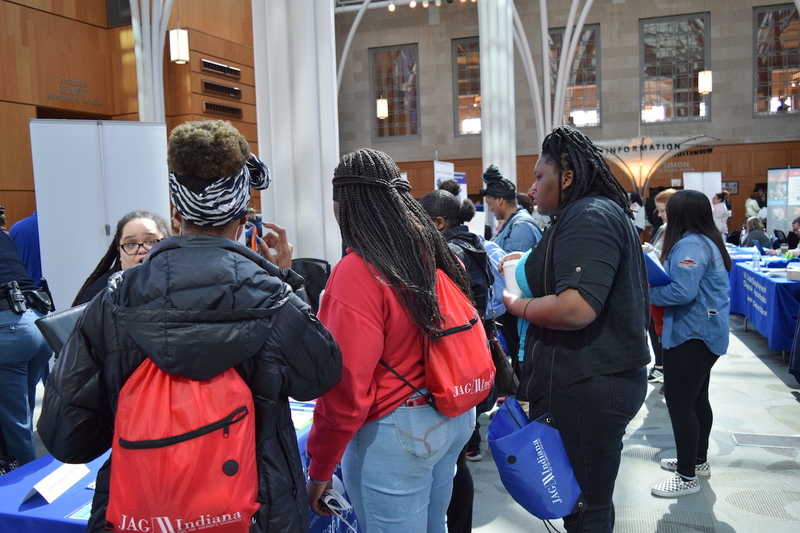 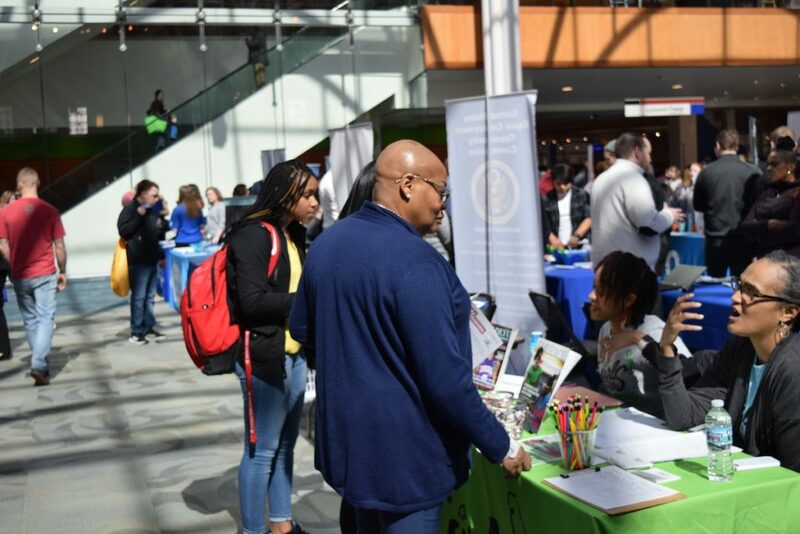 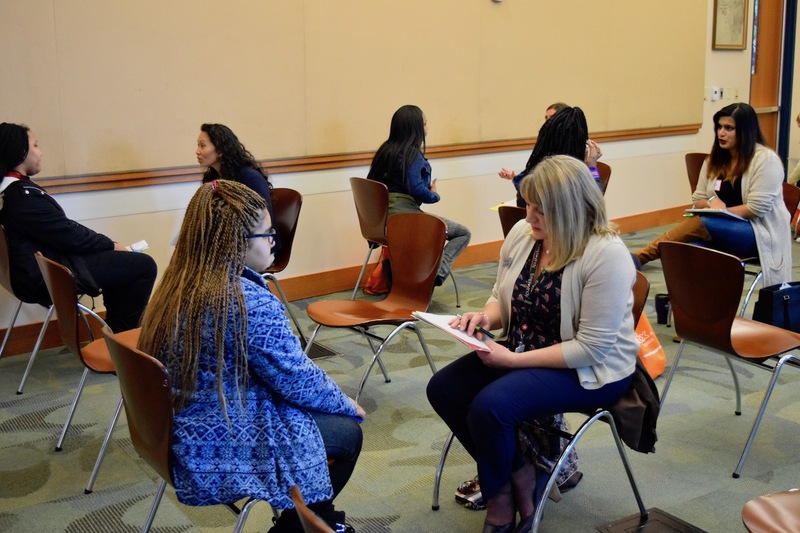 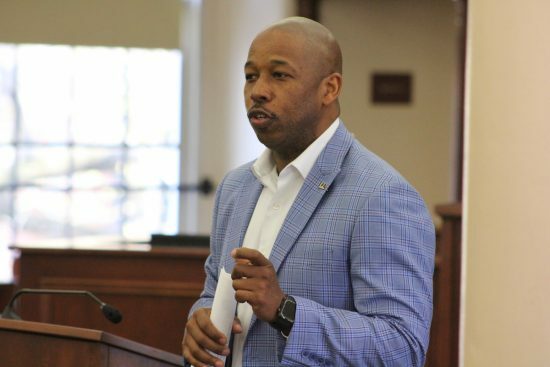 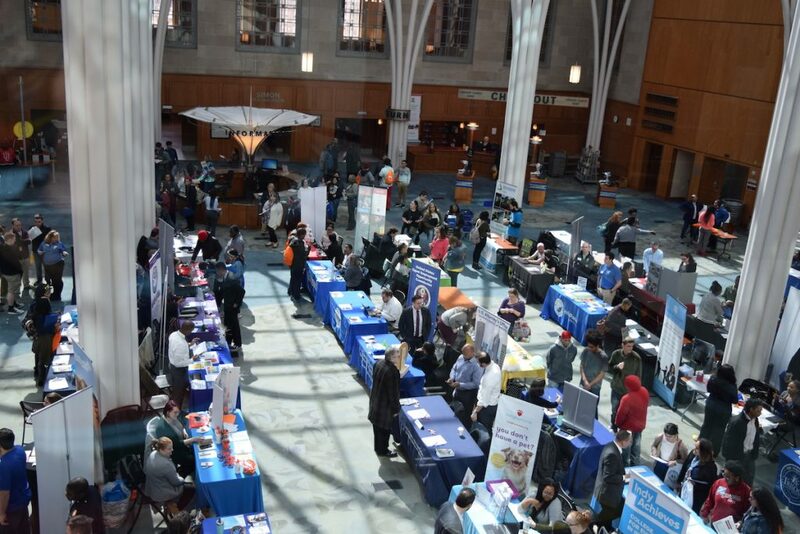 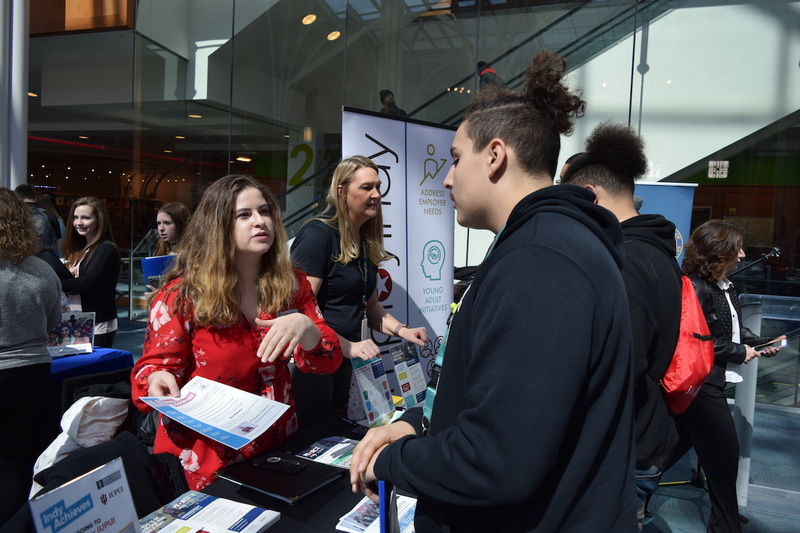 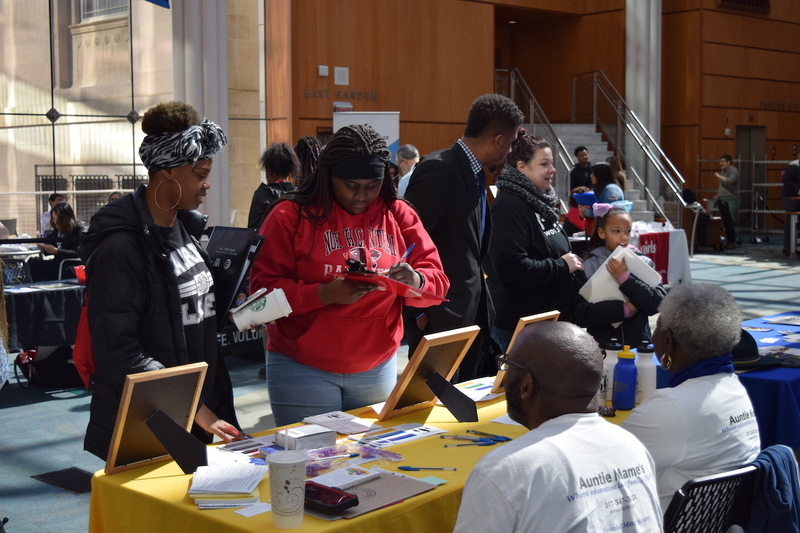 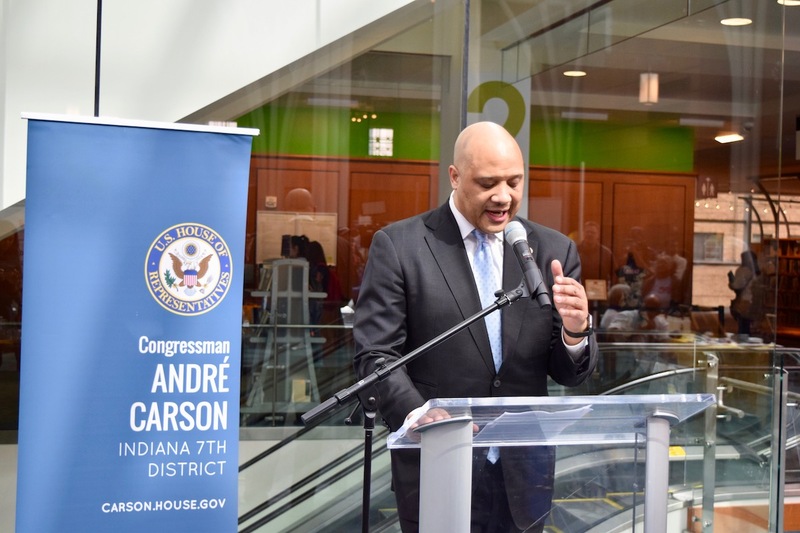 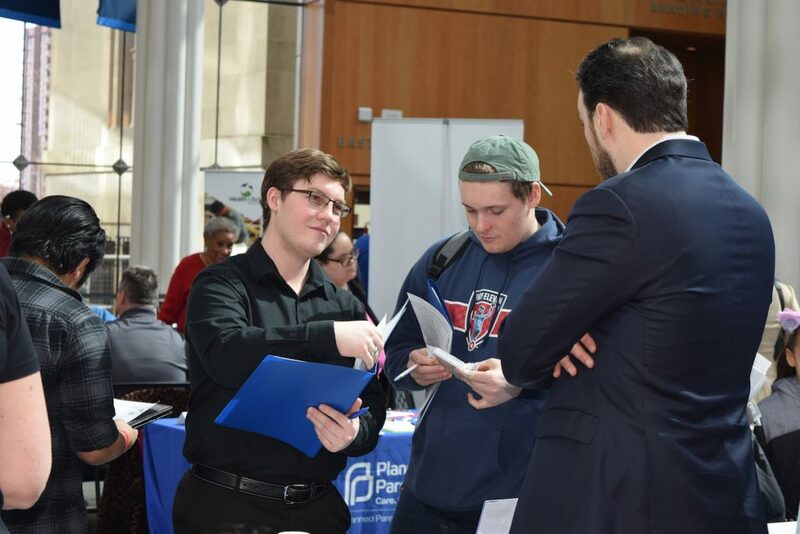 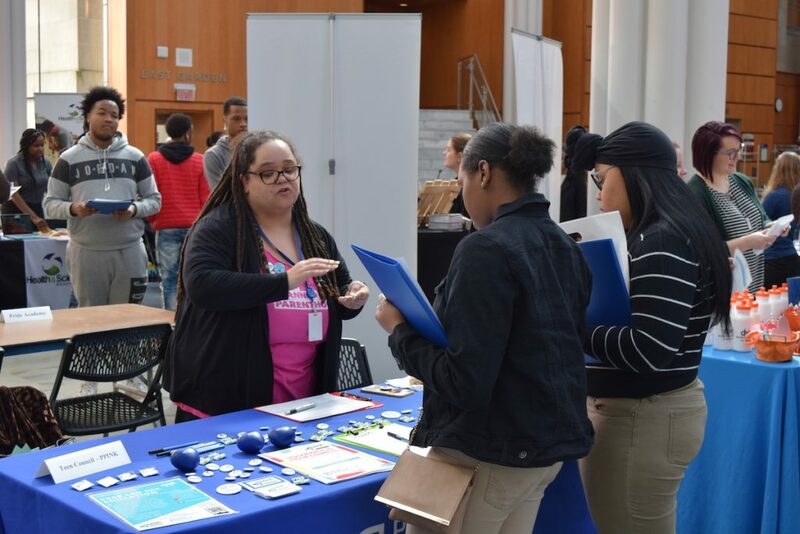 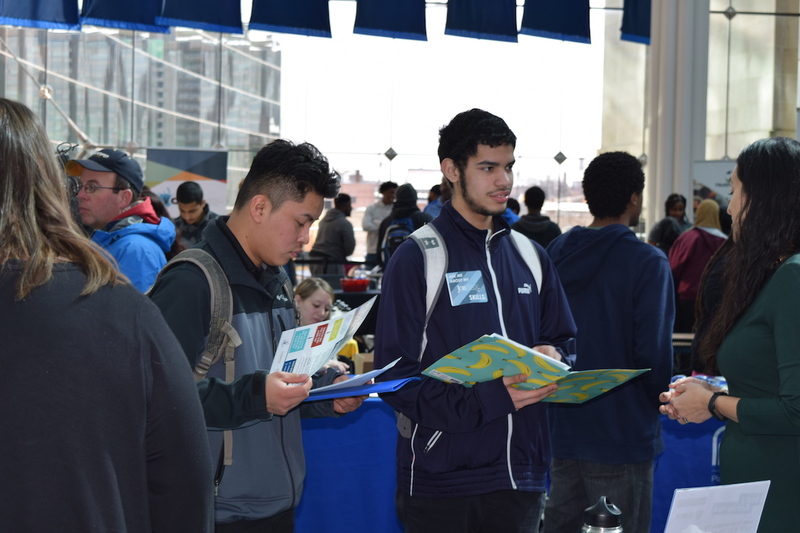 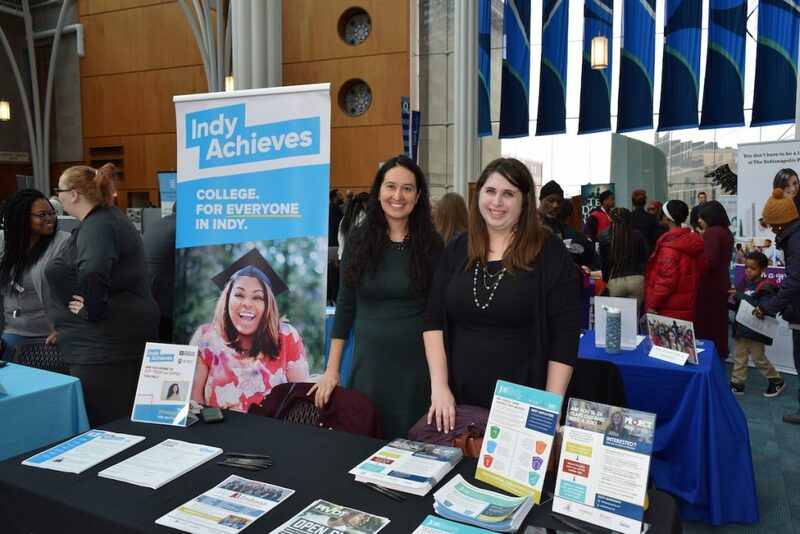 On March 11, Congressman André Carson hosted his sixth annual Youth Opportunities Fair at the Central Library to help Indianapolis youth find these job, learning, and volunteer opportunities, with over 75 organizations attending. 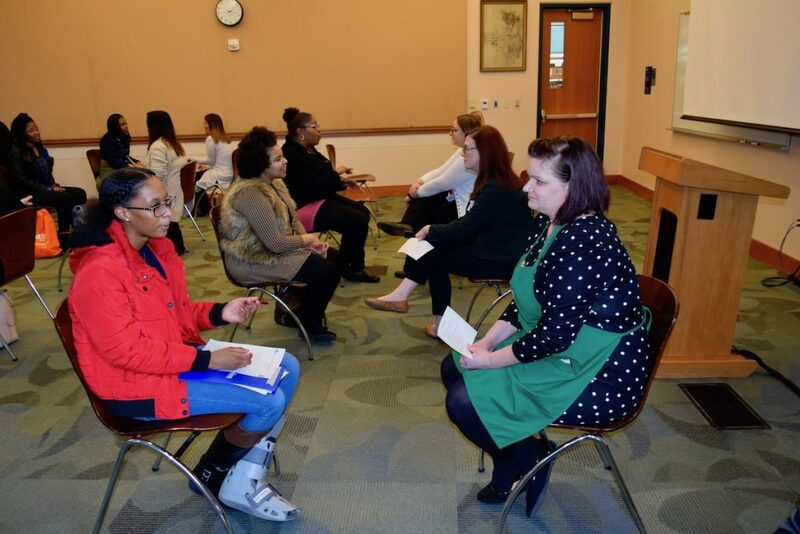 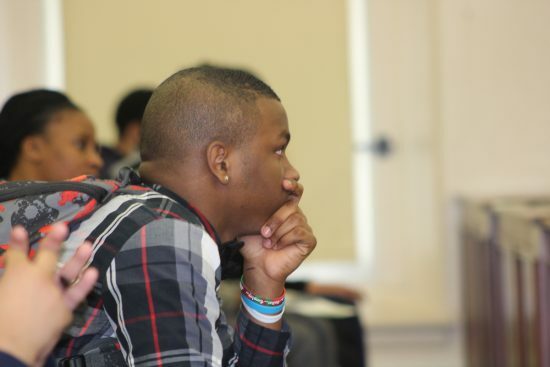 Young adults also participated in sessions designed to help them with interviewing skills and resume review. 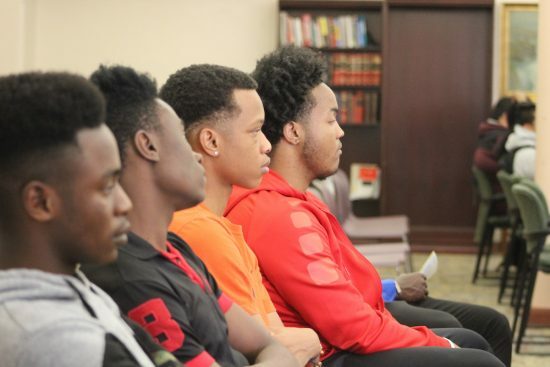 Many jobs, including those at YMCA, Indy Parks, FedEx, Kroger, and more, are filled by connections made through Project Indy, Mayor Joe Hogsett’s youth jobs program. 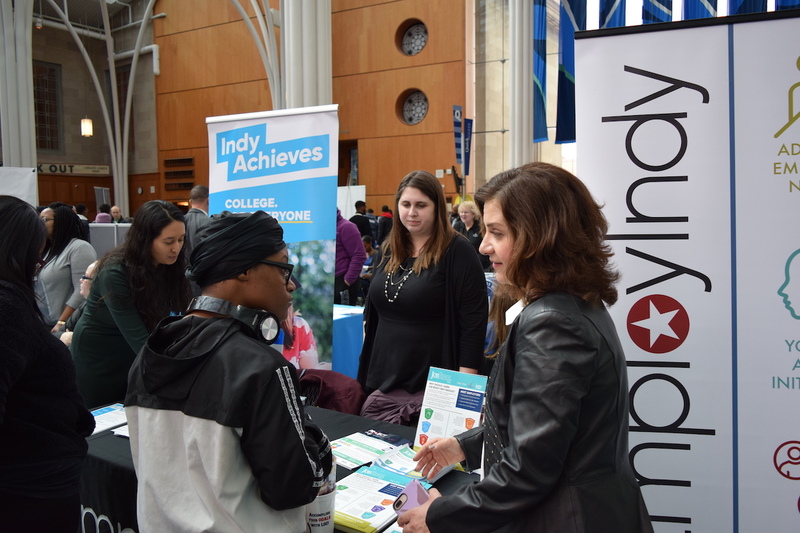 EmployIndy staff were on-site helping young adults sign up and download the Project Indy app to get them started. 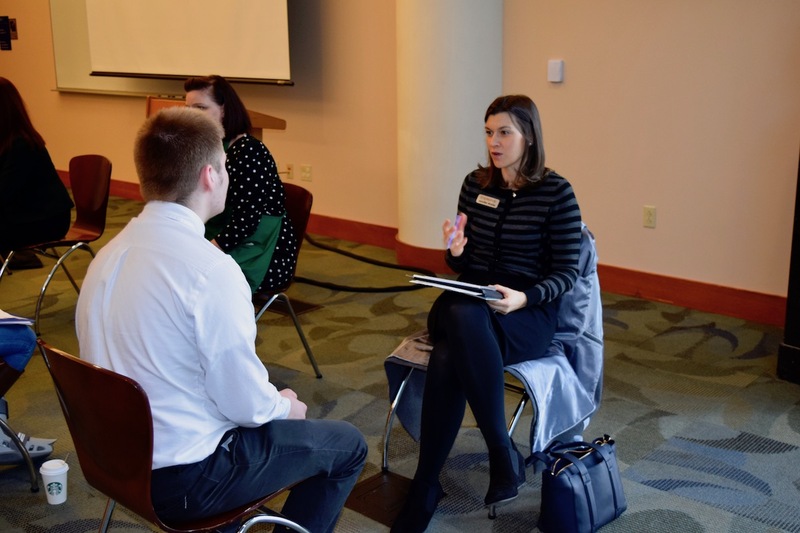 Matt Mueller landed his first job bagging groceries at Kroger twenty-four years ago, and has found various opportunities to continue his career there since. 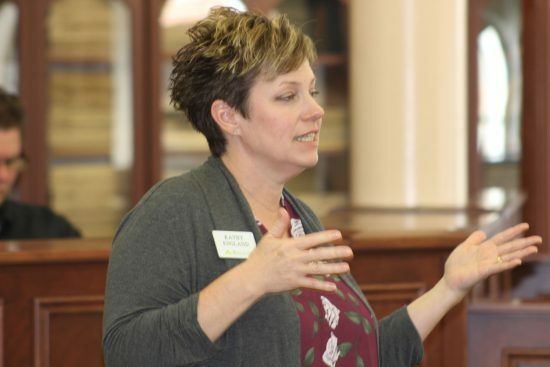 “People think that sometimes working for Kroger is just bagging groceries or stocking milk or whatever it may be, but it’s so much more than that. You can work in Human Resources and Marketing and Transportation and Logistics – any career you could ever want, you could do that under the Kroger umbrella – starting from the single utility clerk job bagging groceries,” he explained. 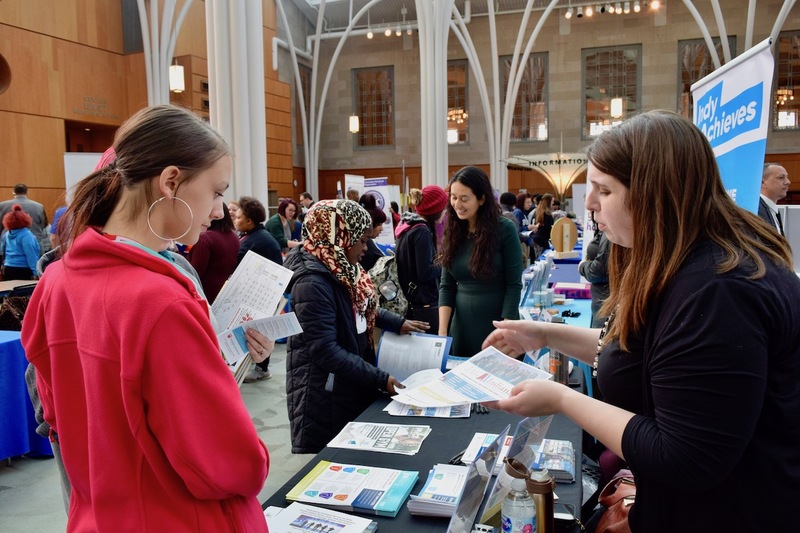 As hundreds of young adults browsed the aisles, most were able to walk away with a lead or an idea of where to aim next. 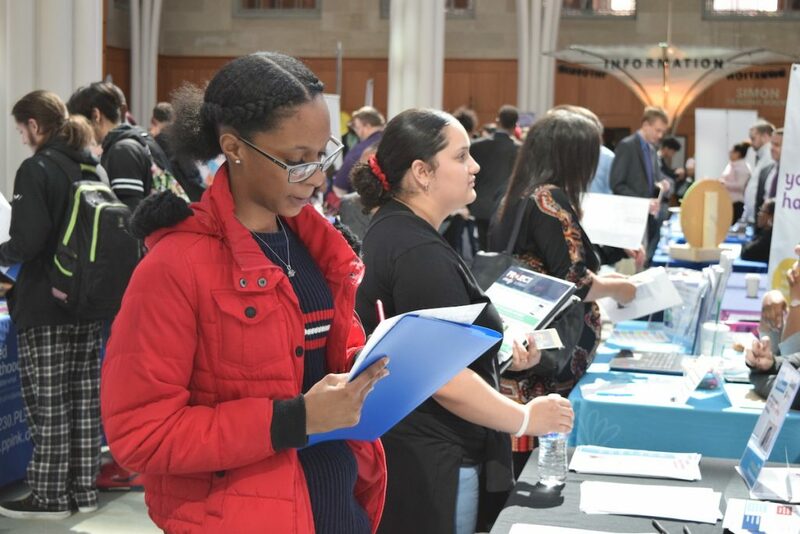 Not everyone will find their dream summer job – but exposure to these opportunities available is important as they continue to learn and think about a future job, education, or career. 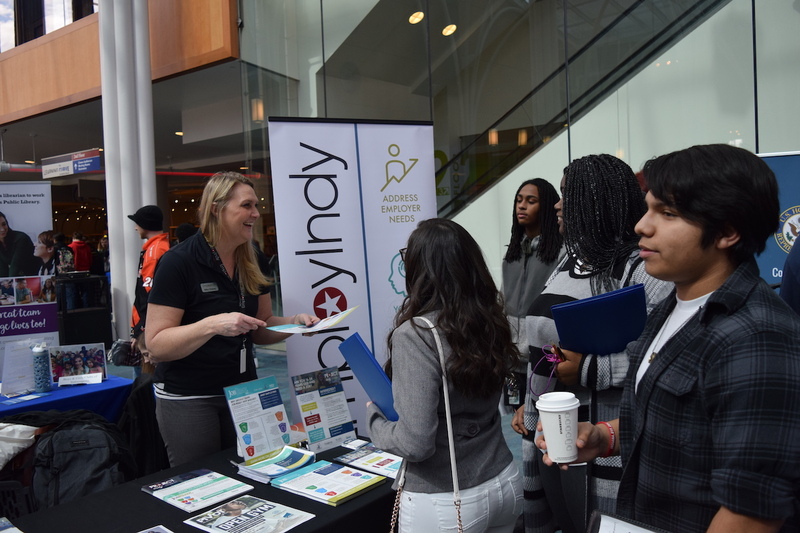 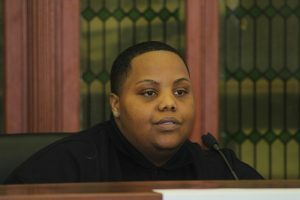 A group of young adults learned about the realities of “being your own boss” at an entrepreneur panel at the Pivot Re-engagement Center at the Finish Line Boys & Girls Club on the Far Eastside of Indianapolis. 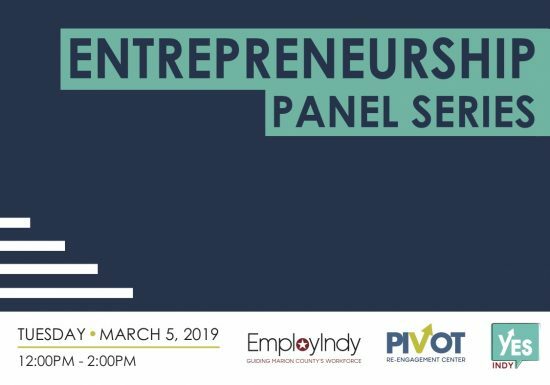 Check out the highlight video to see some of the top takeaways, and click on the image below the video to view the program and learn more about the panelists.